App Cleaner & Uninstaller is a tool intended to clean up service files and remove applications completely. It has the full support of more than 1000 Mac applications, and as a result, it can find more service files related to those apps, unlike other ordinary uninstallers. 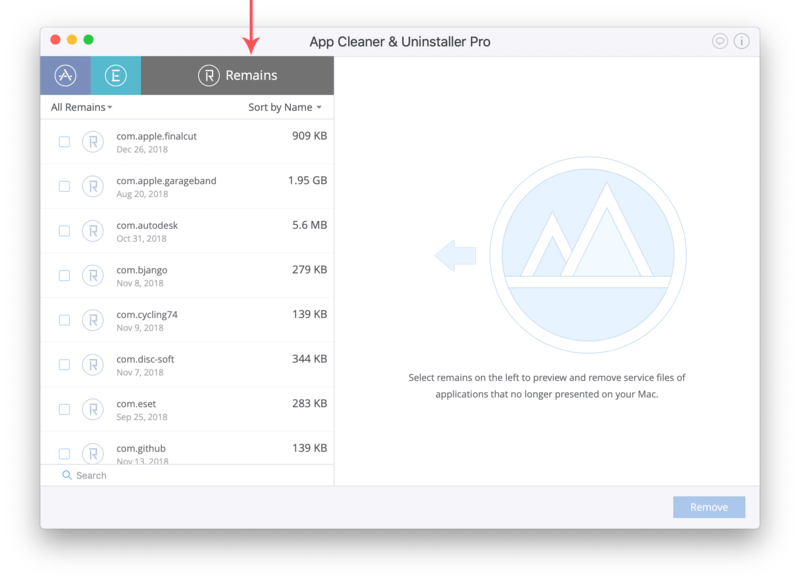 This makes App Cleaner absolutely the most preferred program for complete removal of apps on Mac. Moreover, its additional features, which we will tell you about below, allow you to use the app for a deep clean-up of your Mac. The app provides a free trial which you can use unlimited for 3 days. You can choose from two modes, either the free one or the paid Pro mode, which provides more features. Let’s look at the benefits of each mode. View the support files, caches, preferences, crash reports, items in the Library and all types of support documents on the right side of the window. Scroll down the support files section and you will find a list of all supported document types for the app. If you check the size of each app’s executive item alone in the top-right hand corner of the window and the full size of each application in the list of installed programs, you will be surprised at how much space the service files occupy. Each service file may occupy only a little space on your hard drive. However, if you check their total size, you will see that the app has gigabytes of junk files. If you encounter a lack of free space on your Mac, you can clean up caches and other support files. All you need do is to select the files you want to get rid of and click the Remove button. When you delete apps by moving them to Trash, their support items will still remain on your Mac. With App Cleaner & Uninstaller you can easily find them displayed in the Remains tab. Remains are like files dust that are cluttering the system. They can be removed with one click of the Remove button. User and system extensions are displayed in the “E” tab. Preview a list of launch agents, login items, Mac installations, web browser extensions, preference panes, widgets, screen savers and internet plugins. With App Cleaner & Uninstaller Pro you can view the state of login items, and stop programs from running at startup easily and quickly. All you need is to enable or disable the switcher next to each program. If you want to uninstall an app completely, just select the app and click the Uninstall button. Also, you can select several apps and click the Remove button. Besides changing the state of the extensions, App Cleaner & Uninstaller Pro even allows you to remove these items. For example, it may happen that some apps show notifications even after switching their launch agents off. In the case of aggressive marketing pop-ups, these user extensions can be deleted irreversibly. However, you should be careful with core extensions because deleting core items may give rise to errors and damage your operating system. Please make sure before deletion that you understand what files you want to delete and for what purpose. 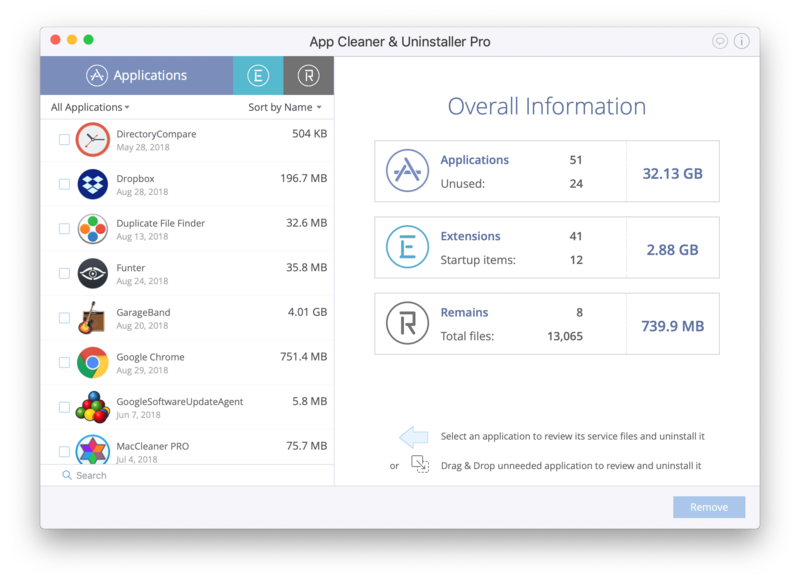 As has been pointed out, the free mode of App Cleaner & Uninstaller gives you a lot of capabilities to clean up your Mac. 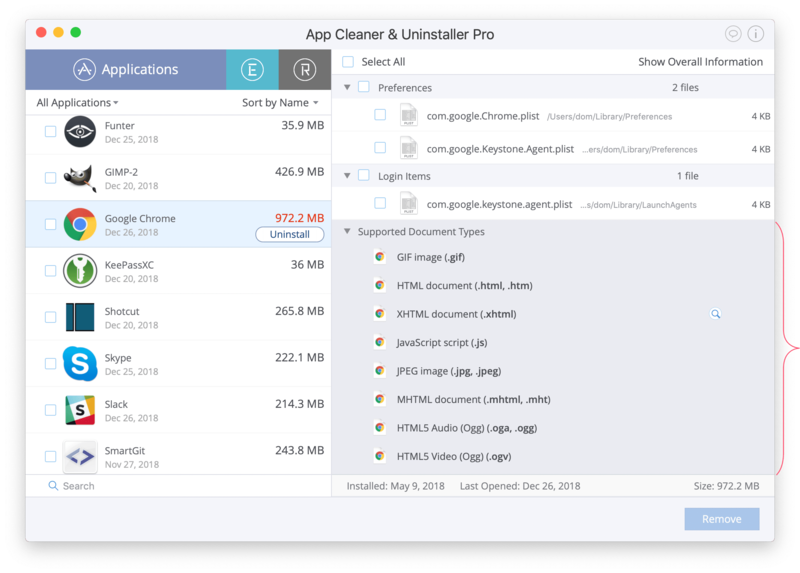 You can remove the leftovers of already deleted apps, clean up service files of installed apps or uninstall apps completely with two clicks.